The synthetic ultra suede upper material is created by Toray, leaders in the development of environmentally-responsible materials. The synthetic suede is comprised of 100% recycled polyester fibers, produced by a chemical recycling process that reduces the energy consumption and the CO2 emission by 80% compared to the production of virgin materials. 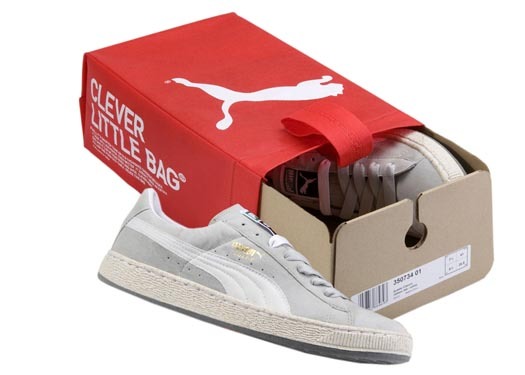 Additionally, the PUMA Re-Suede outsole is made from Double R Rice Rubber, which replaces a portion of the rubber content with a rice husk filler, reducing the overall rubber needed, and saving considerable fossil fuel energy in manufacturing and agricultural resources.